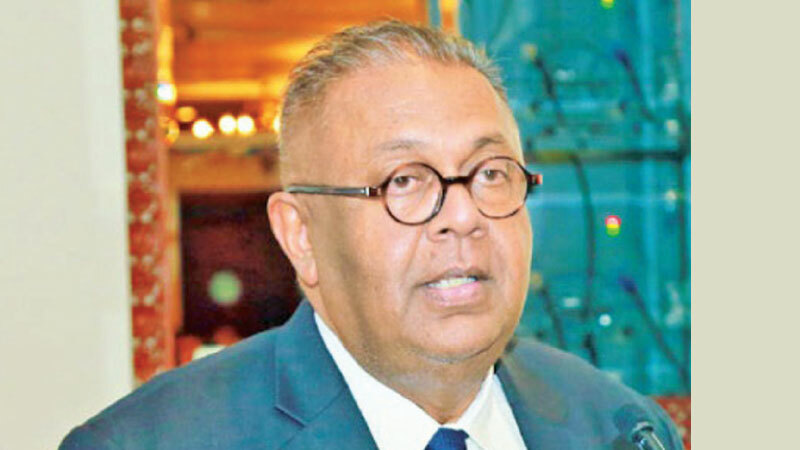 The Government will introduce laws and regulations to govern the Micro-Finance industry with a new Micro-Finance Act to prevent debt traps and exploitative lending programmes targeting vulnerable borrowers, Finance and Media Minister Mangala Samaraweera said. The minister was speaking at the National Programme for Debt Relief in drought affected areas held under the patronage of Prime Minister Ranil Wickremesinghe in Jaffna yesterday. “Last year, we saw the emergence of a major humanitarian crisis in some of the drought affected parts of the country. Incomes in many districts in the North, North Central, and Eastern provinces were decimated as a result”. “This compelled many households whose livelihoods were disrupted to seek loans simply to survive.Households headed by women were particularly affected as they tend to be one of the most vulnerable segments in society who are especially affected by economic hardships”. “Thus,the government has taken initiative to write-off of nearly Rs.1400 million in capital and interest costs of more than 45,000 women borrowers.Thus, those loans, whose capital costs were less than Rs.100,000 and were outstanding for more than three months were selected to be written off”. “While the drought was a major trigger factor, the unscrupulous practices of the lenders, particularly the unregulated loan sharks, played a major role in creating this debt trap. I am sad to note that even reputed companies in the financial services industry have been engaged in such practices”. “The worst offenders target these vulnerable households charging them exorbitant interest rates, some as high as 200%, spiralling borrowers to an unending cycle of debt.Unethical practices such as charging excessive interest rates from consumers and using unnecessary coercion techniques have brought about many people, especially women, severe economic hardships and psychological distress”. “Lenders have in many cases given loans that they know the borrower simply cannot afford. In many cases, a single household would take multiple loans to pay off previous debts, rather than establish or improve existing businesses”. “The government is well aware that this debt-write off is a short-term solution to a much larger problem. It is not feasible to have multiple debt write offs of this nature.To bring about a long-term solution, we are committed to introduce necessary legislation and regulations to govern the microfinance industry,” the minister said. Minister Samaraweera said the government was well aware that debt-write off is a short-term solution to a much larger problem. “Furthermore, it is not feasible to have multiple debt write offs of this nature. To bring about a long-term solution, we are committed to introduce the necessary legislation and regulation to govern the microfinance industry” he added. The minister said as a first step, the government has passed regulation to cap interest rates at 35% per annum, which is still more than the market rates, and would be sufficient to cover the inherent risk premium and administrative costs. “Furthermore, the new Microfinance Act that is being drafted would ensure more responsible lenders will be able to operate and consumers will have access to better credit. The new Act will also incorporate financial consumer protection measures. Ongoing efforts to improve financial literacy, led by the Central Bank, will be expanded with renewed vigor”. He further said that Microfinance is an effective mechanism to bring people out of poverty, if the industry is properly regulated. “The missing legislation and regulations are now being developed, and we hope that we will not see a repeat of debt cycles of this nature” he added. The minister said he hoped these initiatives will ensure that women in society are secure and economically empowered through other development efforts such as the Enterprise Sri Lanka Loan Scheme and Gamperaliya Rapid Rural Development Programme. Parliamentarians Mavai Senadhirajah, M. A.Sumanthiran and District Secretary, N.Vethanayagam and officials attended.